Brazilian hospitals are stocked with yellow fever vaccine, above, but the country continues to deal with ongoing outbreaks of the mosquito-borne disease. It wasn’t too long ago that the emergence of the little-understood Zika virus in South and Central America led the US to recommend pregnant women avoid traveling to areas where it was spreading (a warning that remains in place). But it’s actually a familiar mosquito-borne disease that’s now prompting a much wider advisory from the Centers for Disease Control and Prevention: yellow fever. This week, the CDC expanded a Level 2 alert to travelers planning to visit various parts of Brazil, where relatively large outbreaks of yellow fever have been occurring since last year. Travelers are advised to get vaccinated against yellow fever at least 10 days before entering the marked area, while travelers unable to get vaccinated should avoid the areas altogether. The expanded alert concerns the entire state of Rio de Janeiro, Espirito Santo, and São Paulo, as well as parts of Bahia. These areas, specifically, are dealing with an ongoing outbreak of yellow fever. Since this January, at least 10 unvaccinated travelers to these areas have caught the disease, and four have died as a result. So far, none of the travelers have come from the US. The virus that causes yellow fever is an old adversary that once plagued most of the Americas, including the US. 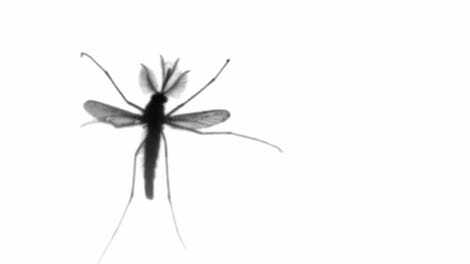 Dedicated mosquito control programs, coupled with a vaccine developed in the 1940s, helped drive the disease to the brink of extinction. But the resurgence of mosquito species that can spread yellow fever and lax vaccination coverage have allowed it to remain endemic in parts of the Americas and Africa. The increase of international travel, meanwhile, means the prospect of an yellow fever outbreak elsewhere is a serious possibility. Many people who contract yellow fever experience few symptoms, while others experience a flu-like illness that lasts three to four days. But about 15 percent experience a second round of complications, such as jaundice (the titular “yellow” of the disease), internal bleeding, vomiting, and abdominal pain. Half of the unlucky victims who develop these symptoms die within a week’s time. The vaccine is nearly 100 percent effective against yellow fever. But stockpiles of it remain short, including in the US. The likelihood of yellow fever taking hold in the US is still very low, but there is a real danger of isolated outbreaks, spread by local mosquito populations, striking parts of the Southern US. And there are already mosquito-borne diseases such as West Nile virus that have become endemic in the US in recent years. 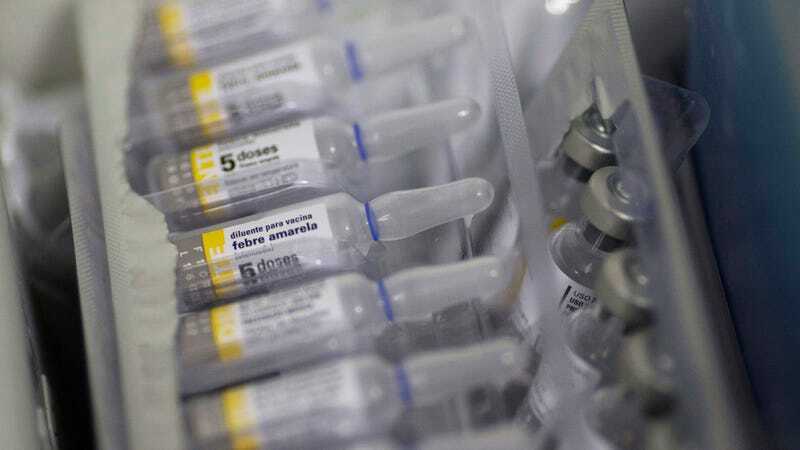 According to the World Health Organization, there were 723 confirmed human cases of yellow fever reported in Brazil from July of last year to the end of February this year, along with 237 deaths. So far, it doesn’t appear to have reached large urban centers—where it’s primarily spread by the same species of mosquito responsible for Zika and other nasty diseases, Aedes aegypti—but the true toll is likely greater. It’s estimated that up to 60,000 people die annually of the disease. The CDC has information on where to get the vaccine in the US.